Do you have a garage at home? Do you use it for other purposes aside from parking your cars in it? 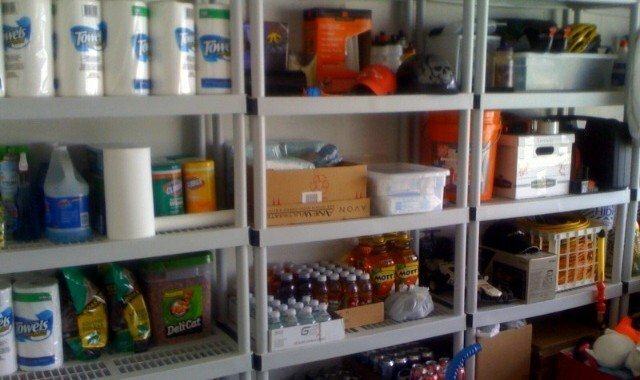 How do you organize things in your garage? Many people use their garage for storage of tools and other unused things. Make better use of your garage’s space and get things off the floor with this DIY project. It costs about $75 for all of the materials and is a great way to store seldom-used things like holiday decorations. An efficient storage space or a chaotic catch-all: which one sounds more like your garage right now? If you’re parking on the street, stacking boxes sky-high, or navigating a war zone every time you need a shovel, then it’s time to do something. With a little strategy and organization, your garage can become one of your home’s greatest assets. To demonstrate how, here’s a look at some of the top tips for organizing your garage into an efficient, useful space where you can not only store your stuff, but also actually park your car.